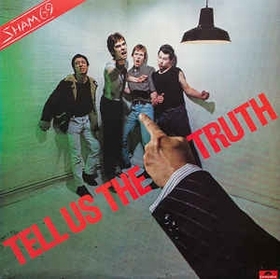 Although not as commercially successful as many of their contemporaries, albeit with a greater number of chart entries, Sham 69 has been a huge musical and lyrical influence on the Oi! and streetpunk genres. The band allegedly derived their name from a piece of football-related graffiti that founder Jimmy Pursey saw on a wall, which originally said Walton and Hersham '69 but had partly faded away. They where a fantastic live band and did performe endless hits, what a record this is! B4	What About The Lonely?